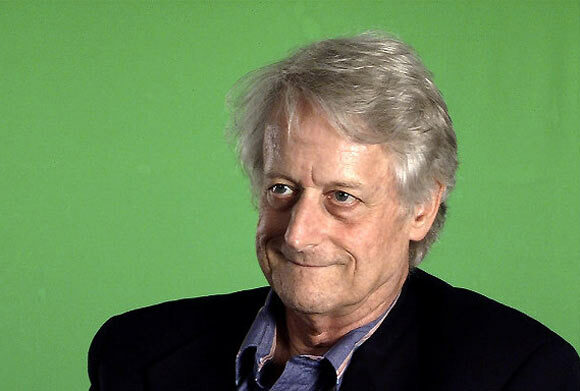 Ted Nelson coined the terms “Hypertext” and “Hypermedia”. Ted Nelson (formally Theodor Holm Nelson) is an American philosopher, scientist and internet pioneer, famous for having coined the terms “hypertext” and “hypermedia” and the idea of “Xanadu” in the sixties. He had little or no contact with his father Ralph Nelson who was an Emmy Award winning movie director and mother Celeste Holm, who was an Academy Award winning actress. He was raised by his grandparents in New York and developed Attention Deficit Disorder (ADD) in his childhood. He got his BA in philosophy from Swarthmore college in 1960, where he also made a humorous film called “The Epiphany of Slocum Furlow“. The film was about the main character discovering the true meaning of life. After this he enrolled at Harvard for his graduate studies in sociology. His lifelong vision was to develop a software framework called Xanadu. The inspiration for the name came from the book “Kubla Khan”. Nelson’s vision was to make Xanadu a “magic place of literary memory” where people would be able to store documents, rewrite them, edit them and share them with others. He wanted to create a database where people would sore their documents as “common knowledge” so that others would be able to access it and use it to make connections between their ideas and others. This was back in the 1960’s when there was no word processing software or internet available and at that time it was a revolutionary concept. Nelson presented a paper at the annual conference of the Association of Computing Machinery (ACM) and coined the term “hypertext” for the text displayed on a computer screen or electronic device with references to other text documents which the user can access immediately. The concept is similar to that of website “hyperlinks” today. Nelson began working on his idea and the original date for the release of the Xanadu software was 1974 as announced by Nelson in the magazine “Dream Machines”. Then in 1987 he announced that it would be released by 1988. At that time, a company named Autodesk purchased the Xanadu software and began working on it, so it was generally expected that this would give a boost to the project and it would finally be completed. The final release date was set for 1991, however there were no further developments and the software was neither completed, nor launched. Nelson was one of the cofounders of the itty bitty machine company (ibm), a small retail computer store operating between 1977 and 1980. It was one of the first companies to sell the Apple I computer. Nelson is currently working on a new information structure called Zigzag. He runs a website where he has provided details on the nature of his work. Nelson is believed by some to be a computer and networking visionary and has coined many new terminologies such as hypertext, hypermedia, virtuality and populitism. He has been presented with prestigious awards such as Yuri Rubinsky Memorial Award at a World Wide Web Conference in Brisbane, Australia and a knighthood by the French government called “Officier des Arts et Lettres” (The Order of Arts and Letters). Ted Nelson’s work has also received widespread criticism as being impractical, such as an article in Wired magazine published in 1995 which refuted Nelson’s ideas and work. Nelson replied to the article by defending his work and discrediting his critics claims. Nelson is 76 years old and runs his own publishing company by the name of “Mindful Press” through which he publishes his papers and articles.